Greenleaf Lawn Care was founded by Jamie Nix and Josh Mathias. They were both friends and decided that they would team up to try and change the way people view the lawn care business as a whole. Jamie and Josh have both been working in the industry since 1998 and they also are both local boys from Tulsa, Oklahoma. They have grown Greenleaf Lawn Care into the number one lawn service in Oklahoma getting corporate clients such as Mathis Brothers furniture, Outback Steakhouse and many other top companies. To join our family, give us a call at 918-640-6405. Jaime Nix is a graduate from the University of Tulsa and he has amazing passion to help people make their lawns truly beautiful. He devotes much of his time to learning how he can improve his skill and craft. Jamie has the goal of bringing the best quality service to every home in Tulsa. The president of our turf enhancement is Josh Mathias. He is very focused on making sure that our customers will always receive the best lawn care possible at every visit. Josh is acting known in Tulsa and around Oklahoma as the fastest weed Wacker in the South. Because of his vast knowledge and skills in turf enhancement engineering and Tulsa weed control he has made Greenleaf Lawn Care extremely successful. An amazing thing is that both Jamie and Josh are very passionate about is helping our local Tulsa school system. With that in mind and they have set up a program called “cut for the kids”. This program is set up where Greenleaf will donate a portion of its revenue that is created from any new services to any school system that the client chooses. If you like to find out more information on this program please give us a call today. Jamie and Josh have the goal of raising $100,000 for local schools to help them excel. We all know that schools are very strapped for cash these days and most teachers are spending a lot of their own money just to give their students a fighting chance. We hope that this money will be able to take some of the burden off to teachers and help provide for the student’s needs. Every purchase from a new client, five dollars will go to the school district of the client’s choice. As our company grows we hope to be able to donate even more money to help the schools that helped us growing up. Greenleaf offers so many more services than just Tulsa weed control even though we specialize in Tulsa weed control. Some of the services include fertilization, weekly lawn maintenance, flower bed maintenance, hedge trimming and shaping, leaf removal, sod installation, small tree removal and planting, small shrub removal and planting, spring cleanup and lawn scalping and so many more services. You may be surprised at everything we can do but I assure you we do everything listed and do it at a high level of quality. Remember, you can give us a call 24 hours a day, seven days a week. Greenleaf Lawn Care offers so many amazing services that can help you to your lawn looking amazing. You will have friends, family, neighbors and even complete strangers coming up to you asking you how you got your lawn to look so amazing. We would like to apologize now for making you be bothered so many times during your day to have to answer this question. Will also most likely make your neighbors mad because they will be able to see a line where your grass ends and there grass begins because there grass look pale in comparison to yours after you work with us. Give us a call at 918-640-6405 to start making your neighbors mad. To list some of the services that Greenleaf the Tulsa weed control experts offer our lawn fertilization, spring cleanups and lawn scalping, sod installation, leaf removal, small tree removal and planting, small shrub removal and planting, hedge trimming and shaping, flower bed maintenance and are most common service is our weekly lawn maintenance package. People absolutely love our lawn maintenance package because they don’t have to worry about their lawn at all because they know that it will look amazing and it will also be the best looking lawn in the neighborhood. You will find yourself coming up with reasons to invite people to your backyard. You may realize that you will start inviting complete strangers over for a barbecue to talk about your yard. We know that you truly will be amazed with how great it looks and feels on your feet. 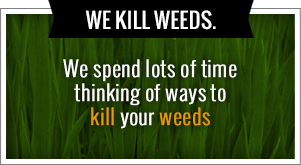 We also offer many seasonal services that set us apart from any other Tulsa weed control company. Some of the services are gutter cleaning, leaf cleanup in lawns and landscape beds, trimming back perennial plants, seasonal flowers and mulch, scalping lawns, aerating and over seeding, holiday lighting and also snow and ice removal. Here at Greenleaf the Tulsa weed control experts we don’t just send anyone to help you with your lawn we only send our turf enhancement engineers. Our turf enhancement engineers are fully certified of spray technicians that are certified by the Oklahoma Department of agriculture. These people are equipped with the proper licenses that will bring you the best lawn maintenance in the business. We make sure that all of our team members are equipped with the correct chemicals and are wearing the proper attire so they always are in compliance with all state regulations. We only used the top-of-the-line sprayers and spreaders so we can guarantee a very even application. This will make your yard look amazingly green and completely weed free. 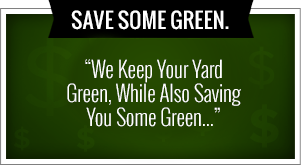 Would be honored if you to give us a call and last call you more about what we can do for you and your lawn. Don’t forget our phone lines are open 24 hours a day, seven days a week for you to call with any questions you may come up with. Give us a call if you want our family at Greenleaf to help your family.